Sunny is one audacious bunny! She's not afraid to tell you what's on her mind, but she always knows where to draw the line. Some of her favorite things include hanging out with Honey the bunny, pursuing new hobbies, and making new friends. What adventures will you and Sunny go on? 1. Hold and drag the oval sticker icon on the Messages app bar to the front. 2. 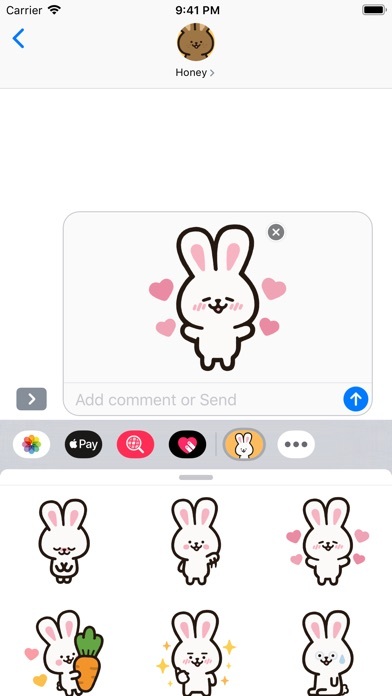 Slide to the end of the app bar in Messages, press More (the ellipsis icon), Edit, and press the plus symbol on the left of the Sunny the Bunny app icon. Release Notes: Has Sunny been working out or something? Because, she's looking better than ever! I'm very excited to introduce you to this update to the Sunny the Bunny sticker pack. A handful of existing stickers have been updated significantly to be more useful in everyday conversation, so I hope you can have some fun with not only the new stickers, but even some older ones too! I am a HUGE fan of rabbits. Have been since I was a kid. 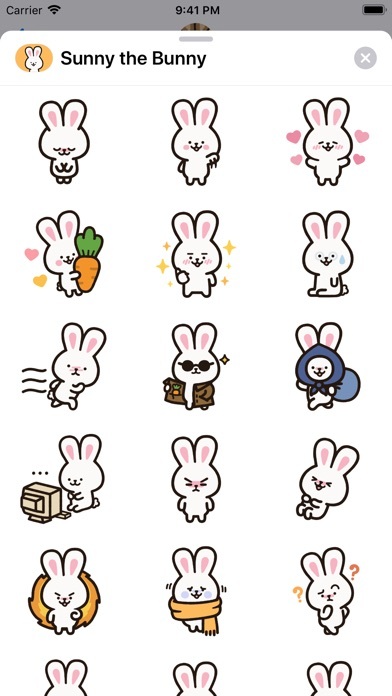 I was just searching for some cute, free bunny stickers when I saw this, and the first thing that comes to mind when describing these stickers are: PERFECT IN EVERY SINGLE WAY. Seriously, phone stickers ans bunnies, how cute can this get? 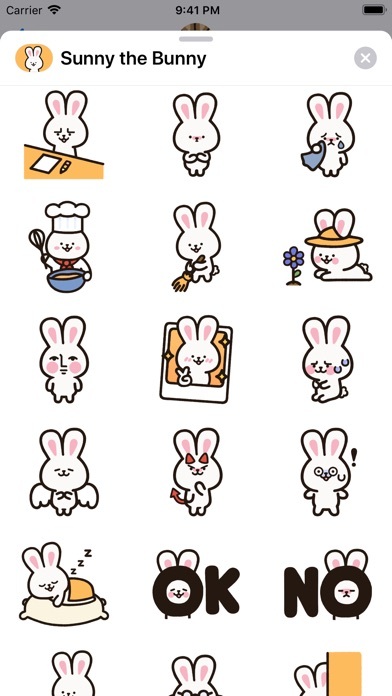 This pack contains 33 stickers, each with a hilariously adorable bunny on it. Perfect for every occasion. These are probably the only stickers I ever use! Once you download these, you won’t need any other. Take my word and get this sticker pack! We can’t get enough Sunny the Bunny. Please keep up the great work. These stickers are very high quality. There are also no purchases to be made, and there are 33 total stickers! 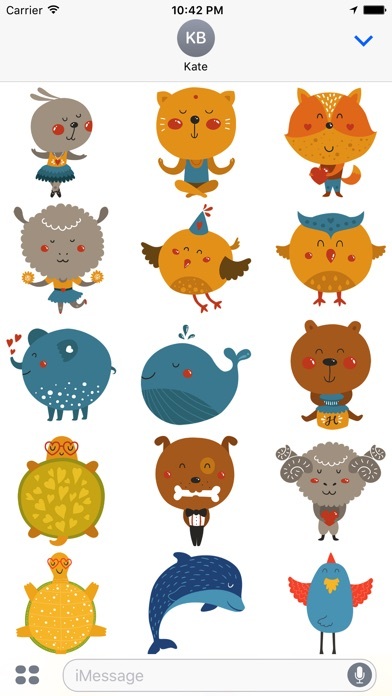 There are so many ways to express yourself with these cute stickers! These stickers are so beautiful and expressive! 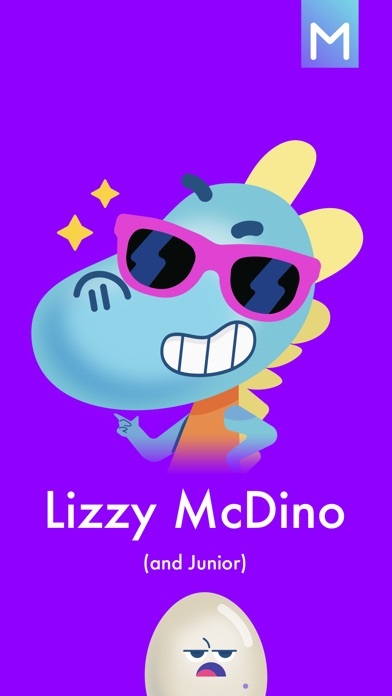 Perfect addition to my sticker app collection! Love them! These stickers are perfect for saying almost everything. they're so cute and very well-made! Very cute and a perfect art style for imessages! This stickers are so cute and clearly the artist is talented af. Very unique and soft design. Wow !!! If you don't have these on your phone, you are doing something wrong with your life.